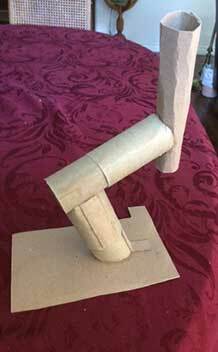 Palmia Observatory: Amateur finally finds Neptune; Check out the AIAA Space 2016 Conference; Sir Roger Penrose to speak at Chapman University; What to do with all your old paper tubes? Amateur finally finds Neptune; Check out the AIAA Space 2016 Conference; Sir Roger Penrose to speak at Chapman University; What to do with all your old paper tubes? Well, this week has finally culminated in a successful finding of Neptune. Or at least, I am relatively confident of that, even though one more rigorous test using the star chart overlay is needed to be completely sure. Anyway before describing that picture and success story, we should check the calendar for upcoming special events. Ok, finally on to the search for Neptune. What, you mean Neptune has already been found, even hundreds of years ago? 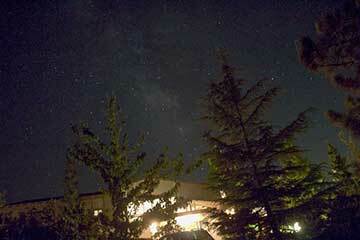 Ok, ok, I know, but finally, I was sufficiently bold to try to capture Neptune myself. The first photo shows a 600mm telephoto, 30 second exposure, with text just below the suspected Neptune and a "+" sign at approximately frame center. How to find out if this is actually Neptune? 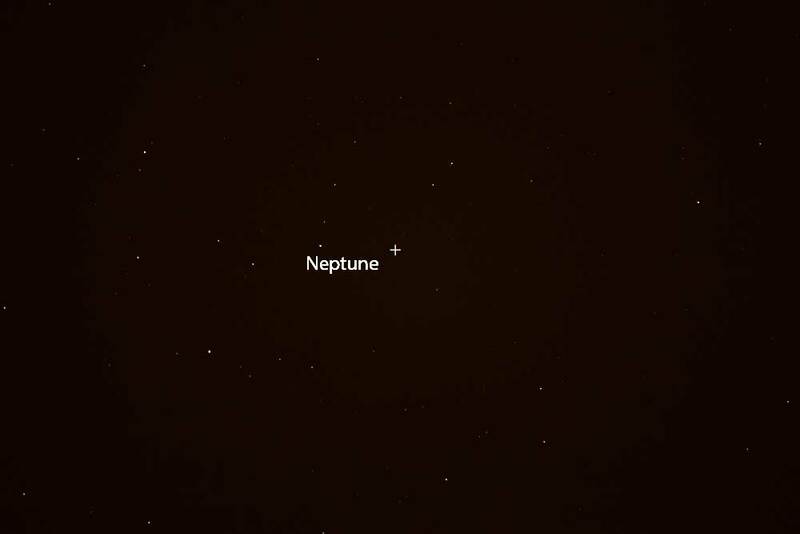 Neptune is a quite dim magnitude = 7.8 planet, so you are not going to see it with your naked eye, especially in city lights locations, so you have to mostly rely on your goto scope to point in the right direction. 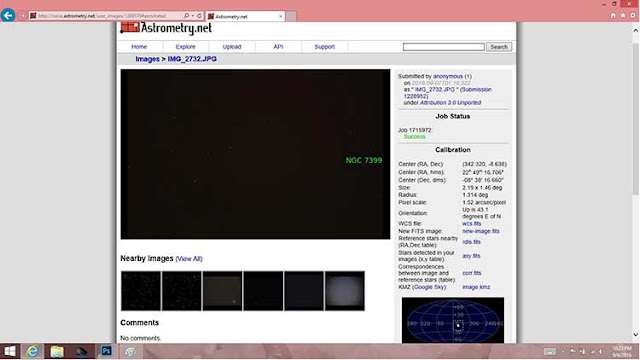 Lets, check the astrometry analysis showed for the location in which the scope was pointing and where the star catalog says that Neptune should be found. The coordinates for the frame center were found to be (RA, Dec) = (22 49 16, -8 38 16) and the catalog location for Neptune is (22 49 22, -8 26 31). So after converting units of RA and Dec to arc minutes, the error is about 1 arc minute in RA and about 12 arc minutes in Dec. This is ok since the photo frame itself is of dimension, 2.1 degrees by 1.46 degrees, so the target location is quite near the center of the frame, which is the goal after all. 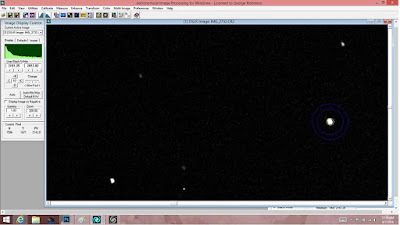 This image is shown 200% of the original and the suspected Neptune is the object on the right side of the screenshot. It is bigger and brighter than the other objects, most not shown, and stars mostly show up as point sources, with some wiggle due to atmospheric seeing and mount wander. So is it really Neptune. Yes, I believe it is and my next steps in analysis, next week sometime, will be to overlay the star chart directly on top of the camera image and thereby directly identify the RA and Dec for that object and compare it with Neptune as the final indication, yes or no. The model is constructed so that the outer tubes just barely fit over the inner tubes, so the model can be rotated independently in both RA and Dec. Now, I can visualize the trigonometry just right. By the way, if you are interested in purchasing this or similar models, I could be persuaded to consider an offer or two!